Exhibit A is House Appropriations Chairman Hal Rogers who, just Tuesday, suggested legislation rescinding funding for the President’s action. That would have to wait till January — two months after implementation had begun. It would also then be vetoed and Rogers would not be able to get the votes to override the veto. 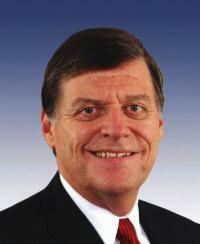 Congressman Rep. Tom Cole (R-OK)Heritage ActionScorecard Rep. Tom Cole House Republican Average See Full Scorecard46%, also an appropriator, wants to pass appropriations bills and later rescind funding too. Again, this would be vetoed and there would not be enough votes to override the President’s veto. So the funding would go through. The President’s amnesty plan would be implemented. In fact, the only way to stop the President is to be willing to grind government to a halt. That’s it. They can say there are other ways, but there are none. Anything they do to undo President Obama’s amnesty plan can be vetoed. They then do not have the votes to override the veto. There is only one thing Republicans can do that President Obama cannot veto. They can shut down the government. Republicans will tell you they can sue the President or expand their existing lawsuit. But that lawsuit won’t be resolved until he is out of office and his amnesty has been in effect for several years. It is theater. They have no options because they are not willing to shut down the government to force his hand. They’ve already given him a blank check on the debt ceiling. There are no other options. And, to be frank, some of the people huffing and puffing the loudest that there are other options are also some of the biggest proponents of amnesty. They want it. They privately agree with the outcome even if they don’t like the means by which it occurs. So they will huff and puff and claim no precedents have been established, then they will let it go through. Again, the GOP must grind the government to a halt to stop President Obama. Any other legislative mechanism can be vetoed and they don’t have the votes to override a veto. But the GOP won’t bother shutting down the government because the leadership wants exactly the same outcome as President Obama wants — they just object to the means. It really is striking to me that the GOP just won a massive wave election and they’ve chosen to surrender before the fight even starts. McConnell’s insistence that the GOP won’t shut down the government was all the incentive Barack Obama needed to go ahead and great amnesty. Republicans are just enablers. The post Republicans Will Not Block Barack Obama (Because They Want the Same Thing) appeared first on RedState.